As Middle East enterprises expand across the globe, the role of the network continues to grow in importance. It is the crucial tool that links offices, customers, partners and their data. The region's burgeoning number of greenfield implementations is also allowing more enterprises to build networks with comprehensive security elements already in place, transforming the network into a true information stronghold. The region's IT and network managers meanwhile must now shoulder not only the responsibility of managing an organisation's infrastructure and connections, but also strive to keep their firms one step ahead of the competition by providing real business benefits. As the region's leading publication in its field, Network Middle East (NME) is an essential tool for these industry professionals. By accurately tracking, analysing and predicting how technology is changing in the Middle East, NME helps network managers to tie IT functions to larger business goals. 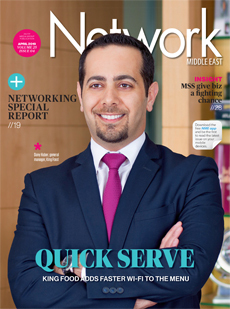 Now in its 18th year of publication, the magazine includes regular updates on critical IT developments, delivers detailed insight and expert analysis of the latest trends, provides network managers with in-depth reports on exciting new implementations from across the region, and analyses best practices and new management standards. NME's dedicated Security Focus section explores the issues faced by IT managers as they integrate security components into network infrastructure. NME's new Vendor Profile and Featured Product sections allow the end user to get a better idea of the vendors available, the products they sell and the hardware and software trends in the market.